HOMECOMING week for BYU is a big deal. Well, for some. Believe it or not, this is the first year I've actually participated in any of the celebration (besides football games). 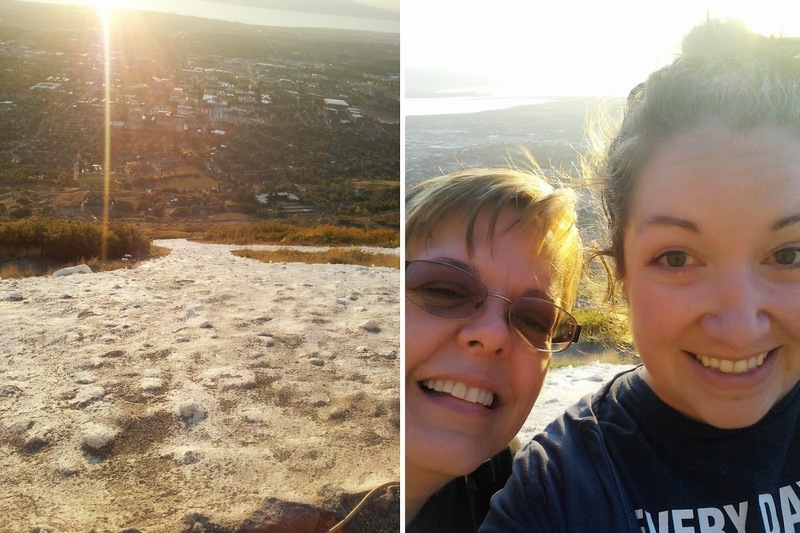 On Friday, Lori (mother-in-law)and I hiked Y mountain in the evening. B, the boys, and his dad met us in the parking lot. We told them to be there by 6, because we were sure it would only take us an hour and we could go to dinner afterwards. So...it took us a little longer. :) But totally worth it! The view was AMAZING and by the time we got back to the bottom, the Y was lit. Saturday morning, our little family headed out the door at 7:30 am so I could pick up my bib number and t shirt for the COUGAR RUN 2013 5K. While we waited for the race to start, we watched all the little kids participate in 200m, 400m, and mile races around the track. By the time the 5K was about to begin, the boys were done! But B, the amazing man that he is, still managed to video tape and take pictures of me starting and finishing the race. By the time we headed back to the car after the race, we had two sleeping babes. (The race was fun. Lots of people lined the course, because it's the same route of the Homecoming Parade. Fun music, tons of high-fives, and BYU Marching Band make it even more exciting. At 5:00 pm, the BYU football game began and we had some yummy dinner. And my legs were feeling it. Shout Out to Homecoming Weekend!